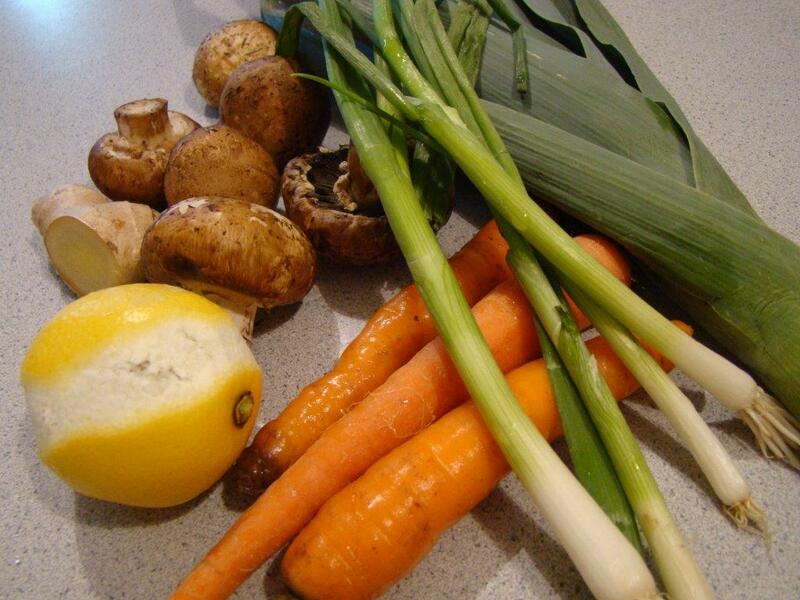 This week’s recipe was the perfect meal for springtime: Seafood Pot-au-Feu. This light, yet filling, seafood and vegetable stew really hit the spot this week. I was fortunate that someone offered me their weekly fish share from Cape Ann Fresh Catch for this week. A fish share is like a CSA you might have at a farm, but it’s from a collective of fishermen. Quite a novel idea! 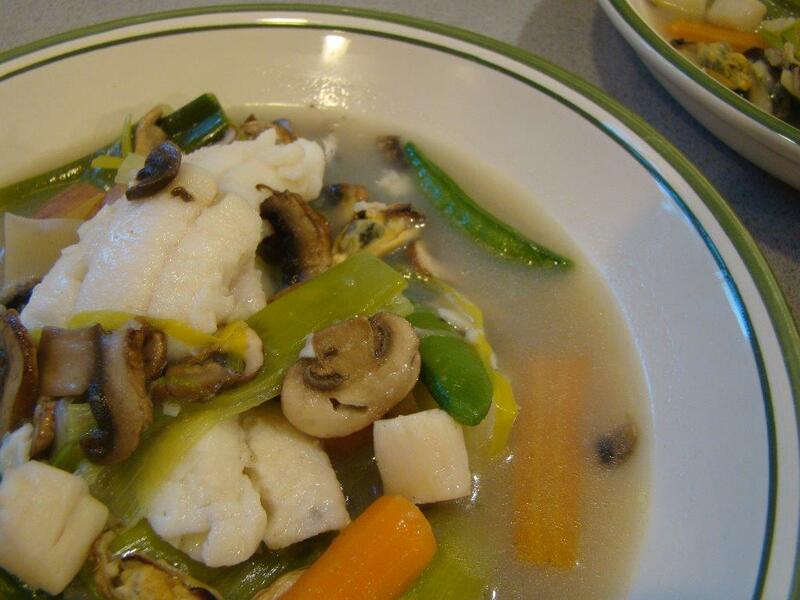 You don’t know which fish you’ll be getting ahead of time, but I knew I would use whatever I got in my pot-au-feu. The selection this week was dab. I wasn’t familiar with this fish, but it’s a flat white fish similar to flounder or sole. 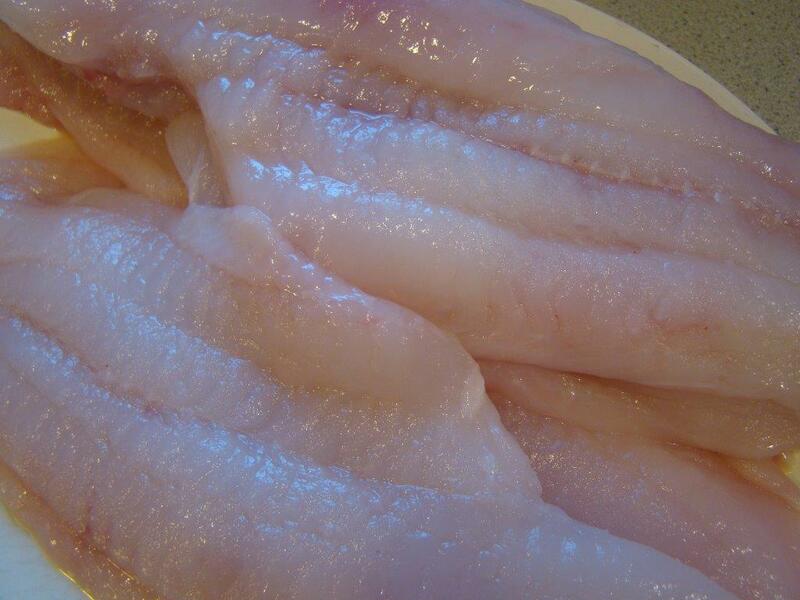 It was filleted and super fresh. I received 2 pounds, which was A LOT, so I used some in the stew and froze the rest for some meuniere or amandine (or both) in the next week or so. The stew starts out by giving the longest cooking vegetables, potatoes, a head start in simmering broth with some aromatics. Then sliced carrots, leeks and scallions are added the pot. I really loved how you can prep the vegetables as you go along. No need for mise-en-place. Finally, sliced mushrooms join the mix. My potatoes needed some extra time, so I just let it cook until the potatoes were nearly tender. Once the vegetables are cooked, they are scooped from the broth and the mussels are steamed. Then, the mussels are removed and the vegetables go back into the pot. Seems a little fussy, but I think it was worth it because there was no interference when removing the mussels from their shells. I suppose you could leave the mussels in the shell for the diner to deal with. We’ve done that in other recipes. I’m not always in the mood to eat with my fingers, and I found that I liked being able to just enjoy spoonfuls with no fiddling. Finally, the fish is poached for a few minutes before adding back the mussels, some scallops, and some sugar snap peas to warm everything up. (I partially cooked the snap peas because I had to buy them frozen — not in season yet). I took a few liberties with the recipe to adjust to what was at hand, but it was no less delicious. As I mentioned, I used dab for the salmon. 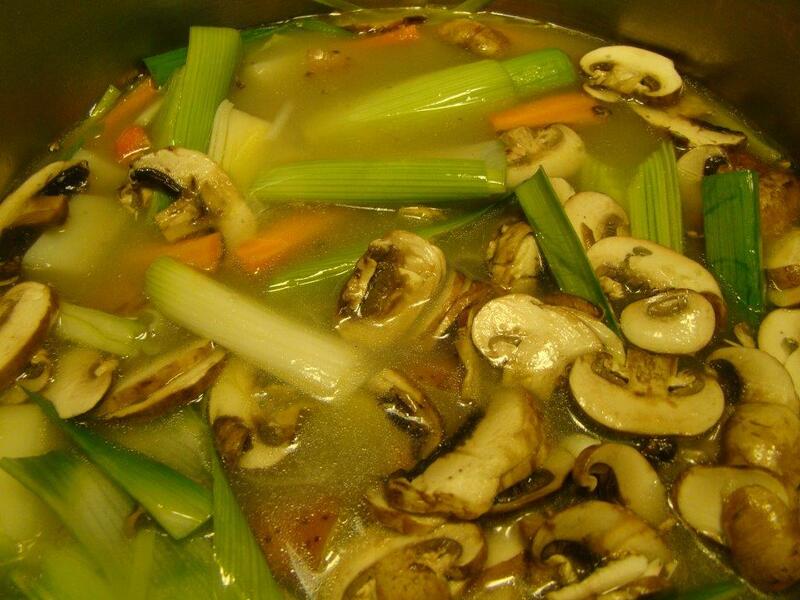 I substituted homemade fish stock from the freezer for the chicken broth (seemed like a natural fit). I also used double the mussels because they were only sold in two-pound bags. I opted for half a pound of bay scallops instead of sea scallops because they were half the price. The adaptations reinforce that this delicious meal can easily be made with whatever looks best at the fish counter. We both really enjoyed this. The weather warmed up with a vengeance, jumping immediately to summer temperatures with not much intervening spring (though I suspect that spring will come back). Honestly, I don’t always enjoy hot soup when it’s hot outside, but this worked. It was more like a fish and seafood dinner, eaten with a spoon. If you want to try this at home, you can find the recipe in Dorie Greenspan’s book Around My French Table. To see other interpretations of this recipe by my Dorista friends, check their links here.